GRAND NORTHWOODS LODGE-CISCO CHAIN! 10,000 SQ FT HYBRID LOG HM WITH 2X6 WALLS SURFACED W/ HEAVY . . . 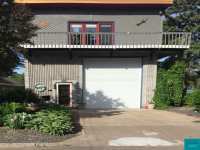 THIS SPACIOUS & BRIGHT HOME LOCATED IN THE PRESTIGIOUS DOVER BAY SUBDIVISION. 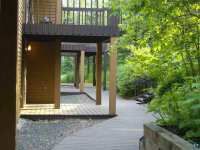 RELAX IN THE PRIVATE WOODED BACKYARD COMPLETE WITH A TRANQUIL WATER FEATURE. A TWO-STORY . 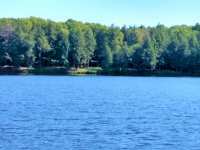 . .
SPORTSMAN'S PARADISE ON THE CISCO CHAIN OF LAKES! AT 11 ACRES AND 800 FEET WIDE, WITH A MAN-MADE . . . CONTEMPORARY MULTI-LEVEL HOME ON THE BAY ON PARK POINT. THERE'S A 46' GARAGE WITH 14' HIGH OVERHEAD DOORS FOR A MOTOR HOME, OR OPEN THE BACK DOOR TO LAUNCH YOUR BOAT. . . .
4+ ACRES W/610+/- FT OF BAY FRONTAGE & AN ADD'L 112 ACRES ACROSS THE ROAD!! 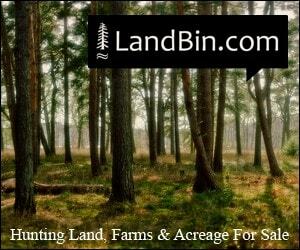 BUILD YOUR DREAM HOME ON 4+ ACRES & YOUR HUNTING LODGE ON 112 ACRES OF GREAT HUNTING LAND . 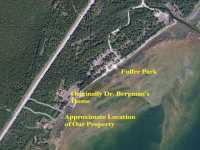 . .
4+ ACRES WITH 610+/- FT OF BAY FRONTAGE AND AN ADDITIONAL 112 ACRES ACROSS THE ROAD!! 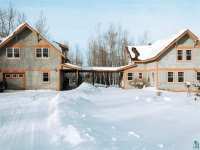 BUILD YOUR DREAM HOME ON 4+ ACRES AND YOUR HUNTING LODGE ON 112 ACRES OF GREAT . . . 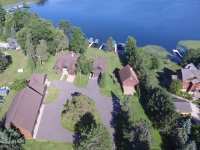 SPECTACULAR WEST BAY LAKE PROPERTY-CISCO CHAIN! THIS IS LITERALLY ONE OF THE BEST PARCELS ON THE CISCO CHAIN! 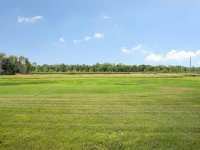 6.14 AC PARCEL W/ 533 FT. OF THE BEST FRONTAGE YOU WILL . . .
ONE OF A KIND FIND!! 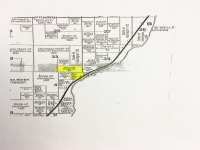 38.98 ACRES WITH APPROX 2,350 FT OF CONTIGUOUS GREEN BAY FRONTAGE. 14 MILES NORTH OF MENOMINEE, MI. THERE IS A SEPTIC ALREADY INSTALLED ON THE SOUTH . 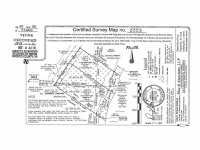 . .
BEST COMMERCIAL SITE IN TOWNZONED COMMERCIAL. APPROX 8 ACRE SITE. POSSIBLE FINANCIAL INCENTIVES TO DEVELOP. HIGH VISIBILITY, HIGH TRAFFIC LOCATION. 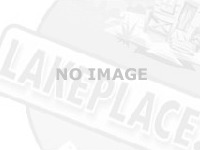 SUPERB MULTI TENANT / . . .
ONE OF A KIND FIND!! 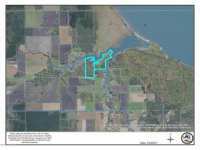 38.98 ACRES WITH APPROX 2,350 FT OF CONTIGUOUS GREEN BAY FRONTAGE. 14 MILES NORTH OF MENOMINEE. THERE IS A SEPTIC ALREADY INSTALLED ON THE SOUTH . . .
DON’T MISS YOUR CHANCE TO LIVE THE BEACH LIFE! THIS FABULOUS, THREE-BEDROOM, MID-CENTURY MODERN . . .
GORGEOUS WATERFRONT PROPERTY!TRULY A MILLION DOLLAR VIEW. 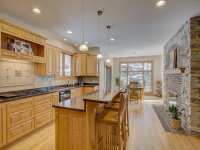 CONTEMPORARY, 3750 SQUARE FEET, 4 BEDROOM, 3 1/2 BATH HOME WITH QUALITY FEATURES GALORE AND A KITCHEN THAT IS A . . . WATERFRONT PROPERTY IN HIGH-TRAFFIC LOCATION SEEKS ENTERPRISING NEW OWNER! 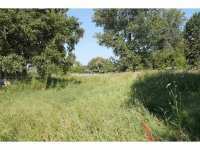 ZONED COMMERCIAL & RESIDENTIAL, THIS 1.13 AC PARCEL W/150' OF BAY FRONTAGE OFFERS MYRIAD . . . LOOKING FOR A SPECTACULAR VIEW? THIS IS YOUR NEW HOME. 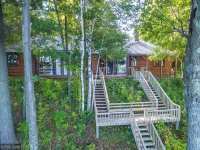 LOCATED ON A HIGH BLUFF OVERLOOKING LAKE SUPERIOR, THIS HOME OFFERS VIEWS FROM DULUTH TO SILVER BAY ON THE . . .
DON'T LET THIS PRIME PIECE OF WATERFRONT GET AWAY! ONE OF THE LARGEST LOTS ON SHORE DRIVE. LIFE IS BETTER ON THE BAY! 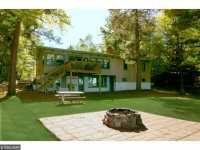 230' OF BAY FRONTAGE, OUTDOOR FIREPLACE, . . . 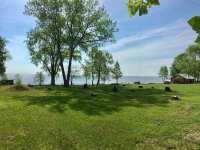 THIS 4 ACRE PROPERTY HAS A LOT TO OFFER, STARTING WITH 400 FEET OF WATER FRONTAGE, A BEAUTIFUL VICTORIAN HOME, A BEACH/GUEST HOUSE AND A LARGE DETACHED GARAGE. DON'T . 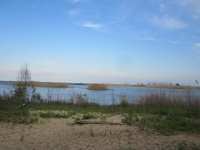 . .
4+ ACRES W/610 +/- FT OF BAY FRONTAGE!! 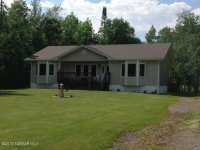 BUILD YOUR DREAM HOME ON 4+ AC & ENJOY THE BEAUTIFUL BAY VIEWS. 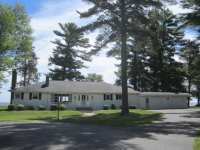 LOCATED ON A GORGEOUS SANDY BEACH NEAR 10,000 AC OF STATE OWNED . 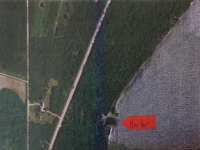 . .
4+ ACRES WITH 610+/- OF BAY FRONTAGE!! 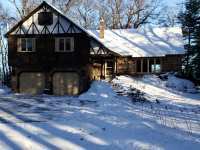 BUILD YOUR DREAM HOME ON 4+ ACRES AND ENJOY THE BEAUTIFUL BAY VIEWS. 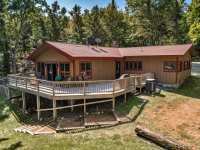 LOCATED ON A GORGEOUS SANDY BEACH NEAR 10,000 ACRES OF STATE . . . THIS YEAR ROUND STICK BUILT HOME HAS JUST BEEN SPRUCED UP WITH FRESH PAINT, NEW CARPET, FLOORING AND EXTRAS. 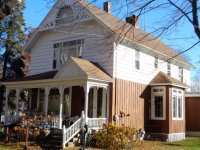 IT IS LOCATED IN THE O'BRIEN SUBDIVISON ON 5 ACRES AND HAS . . . 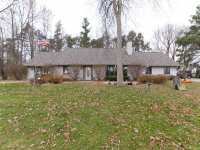 THIS IS A MUST SEE 100 FT OF GREEN BAY FRONTAGE, BEAUTIFUL BRICK 2 STORY HOME ALL ON 3+ ACRES. HOME HAS HARD WOOD FLOORS IN MOST ROOMS. FAMILY RM HAS FIREPLACE AND VIEW . . . 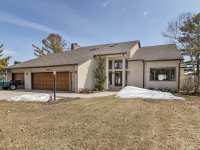 PHENOMENAL 150' BAY FRONTAGE WITH CEMENT SEAWALL: PLUS IMPROVEMENTS: BLACKTOP DRIVEWAY: ARTESIAN WELL: 22 X 24 GARAGE: MUNICIPAL SEWER ON SITE: TELEPHONE: ELECTRIC . . . 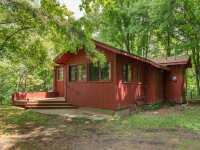 COURTESY LISTING: METZLER-HANSON REALTY, INC.
QUALITY BUILT RANCH STYLE HOME. CLOSE TO TOWN. BEAUTIFUL WATERFRONT VIEW WITH 185' OF BAY FRONTAGE FOR YOUR ENJOYMENT. ATTACHED 2 1/2 CAR HEATED GARAGE. SPACIOUS OPEN . 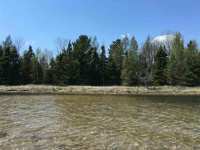 . .
APPROX 1286 FEET OF GREEN BAY FRONTAGE ONLY 14 MILES NORTH OF MENOMINEE. TAXES AND LEGAL DESCRIPTION TO BE DETERMINED. 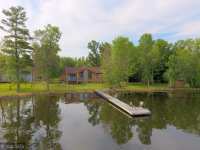 PRIVACY, ACREAGE, WATERFRONT - DOESN'T GET ANY . 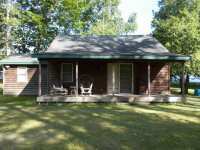 . .
BEAUTIFUL 3 BEDROOM/2 BATH HOME ON ZIPPLE BAY. 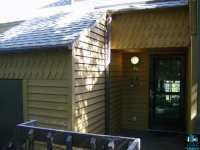 OFFERS OPEN CONCEPT KITCHEN/LIVING ROOM, DECK OFF THE BACK OF THE HOUSE, AND WELL MANICURED YARD. ENJOY YOUR EVENINGS BY . . . RELAX! 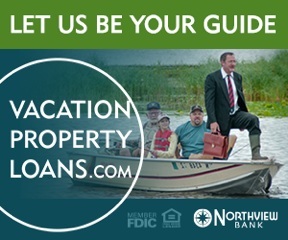 YOU'RE AFFORDABLE WATERFRONT GETAWAY IS HERE! 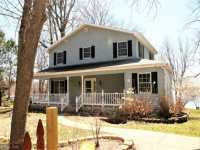 NEWER, WELL CARED FOR RANCH ON THE BAY OF GREEN BAY! YOUR OWN SLICE OF PARADISE JUST MINUTES FROM GREEN BAY. OVER . 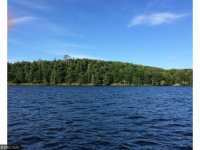 . .
180 ACRES IN WILLIAMS WITH 2 MILES OF SHORELINE ON ZIPPEL BAY. 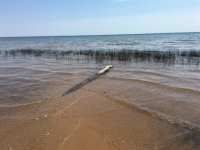 APPROX 400 FEET OF GREEN BAY FRONTAGE ONLY 14 MILES NORTH OF MENOMINEE. THERE IS A SEPTIC ALREADY INSTALLED ON THE PROPERTY. TAXES AND LEGAL DESCRIPTION TO BE . 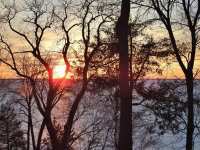 . .
AMAZING SUNSETS, OPEN VIEWS, DOCKAGE OPPORTUNITY, QUIET AREA, GREAT VALUE. 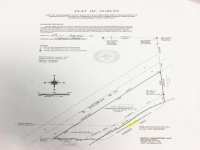 THIS WATERFRONT PARCEL MEASURES APPROXIMATELY 135 FEET OF FRONTAGE AND IS 1.7 ACRES LARGE. . . . LOOKING FOR THAT PERFECT ESCAPE WITH A CABIN, WOODS AND WATER? 175' OF LAKE MICHIGAN BAY FRONTAGE! YOUR SPECIAL PLACE THAT BRINGS PEACE OF MIND WHERE YOUR CARES AND . . . ENJOY LIFE ON THE BAY WITH NEARLY 480FT OF FRONTAGE AND OVER 11 ACRES THIS COULD BE YOUR SHANGRI-LA! WILDLIFE ABOUNDS AND THE VIEWS WILL IMPRESS YOU FROM SUNRISE TO . . .
BEAUTIFUL LOCATION! 485.81' OF BAY FRONTAGE! 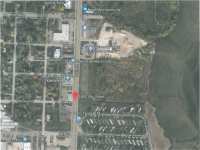 THIS 4.77 ACRE PARCEL HAS ALMOST 486 FEET OF BAY FRONTAGE AND 115' OF FRONTAGE ON HIGHWAY M-35. THE PARCEL IS WOODED AND HAS . . .
APPROX 600 FEET OF GREEN BAY FRONTAGE ONLY 14 MILES NORTH OF MENOMINEE. HOW ABOUT YOUR OWN HARBOR? TAXES AND LEGAL DESCRIPTION TO BE DETERMINED. 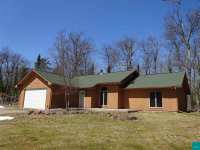 PRIVACY, ACREAGE, . . . COURTESY LISTING: MARK D OLEJNICZAK REALTY, INC. 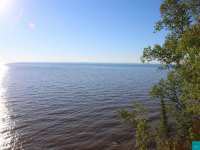 EXPERIENCE THE TRANQUILITY OF THIS BEAUTIFUL READY-TO-BUILD 1.63 ACRE WATERFRONT LOT ON THE BAY. PERFECT FOR YOUR DREAM HOME OR YOUR WEEKEND GETAWAY. 138 FEET OF BAY . . .
210+/- FEET OF BEAUTIFUL BAY FRONTAGE!! 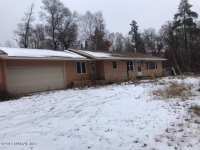 INCLUDES A LARGE 5TH WHEEL AND OLDER SEPTIC SYSTEM (CONDITION UNKNOWN). 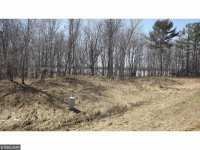 255' OF BEAUTIFUL GREEN BAY FRONTAGE 4.5 ACRES OF LAND TO BUILD YOUR DREAM HOME ON TODAY! THIS TYPE OF PROPERTY IS VERY RARE. TAKE THIS OPPORTUNITY TO PURCHASE THIS . . . LOOKING TO BUILD YOUR OWN HOME ON A CHUNK OF LAND? LOOK NO FURTHER, THIS IS A BEAUTIFUL SPOT TO START BUILDING! RIGHT BY THE WATER, GOOD DISTANCE TO A WILD LIFE PARK. . . . 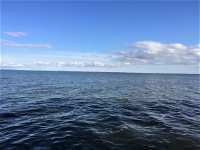 PRIVATE LOT ON PROTECTED BOAT CHANNEL WITH EASY ACCESS TO GREEN BAY WATERS. DOCK/PIER IS ALREADY IN PLACE FOR ALL OUR BOATING NEEDS! 140' X 90' LOT WITH 90' ON THE . . . 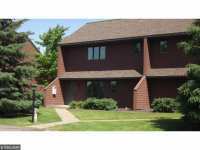 DRAMATIC SPLIT LEVEL CONDOMINIUM WITH SECLUDED LOCATION AT POPULAR LAKE SUPERIOR RESORT. 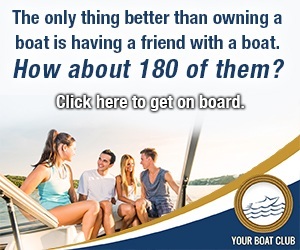 FRACTIONAL 1/8 OWNERSHIP. COMES FULLY FURNISHED AND READY TO VACATION. FEATURES . . .
1/8 OWNERSHIP AT POPULAR RESORT, WITH EXCELLENT VIEW. SHARED USE OF 1/2 MILE OF SHORELINE, 50 ACRES OF WOODLANDS, HIKING TRAILS, TENNIS COUTS, OUTDOOR POOL AND SPA. 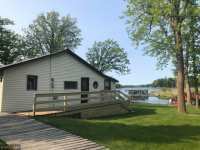 2 Listings in Brussels WI ..
2 Listings in Cedarville ..
58 Listings in Duluth MN ..
1 Listings in Egg Harbor WI ..
1 Listings in Ford River ..
35 Listings in Green Bay WI ..
11 Listings in Herbster WI ..
8 Listings in Ingallston ..
4 Listings in Little Suamico WI ..
29 Listings in Menominee ..
23 Listings in Oconto WI ..
10 Listings in Peshtigo WI ..
1 Listings in Scott WI ..
43 Listings in Stephenson ..
63 Listings in Two Harbors MN ..
99 Listings in Watersmeet MI ..